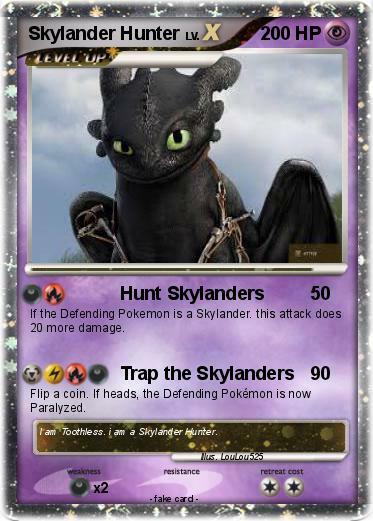 If the Defending Pokemon is a Skylander. this attack does 20 more damage. Comments : I am Toothless. i am a Skylander Hunter.